It may be gone from the home screen, but there are still a few easy methods to show the battery percentage on the iPhone X, XR, XS, or XS Max. With the removal of the home button, the iPhone X line of devices have introduced long-time Apple users to some features and concepts they weren’t previously familiar with. While change can be scary, it’s likely that we will all get used to the various alterations in how we use our favorite smartphone. One such change is to the notification displays how much iPhone X battery charge remains. This used to be prominently displayed at the top of the screen, but now there's a trick to seeing it. You’ll notice that on the home screen of your iPhone X you can no longer see the percentage of your battery charge remaining. There's a visual representation of your battery, but there is no specific percentage listed for how much charge remains. Users with an iPhone 8 or prior model can toggle the battery percentage option by going to Settings, then Battery, then toggling the Battery Percentage option. iPhone X users, on the other hand, will have to use a different procedure. 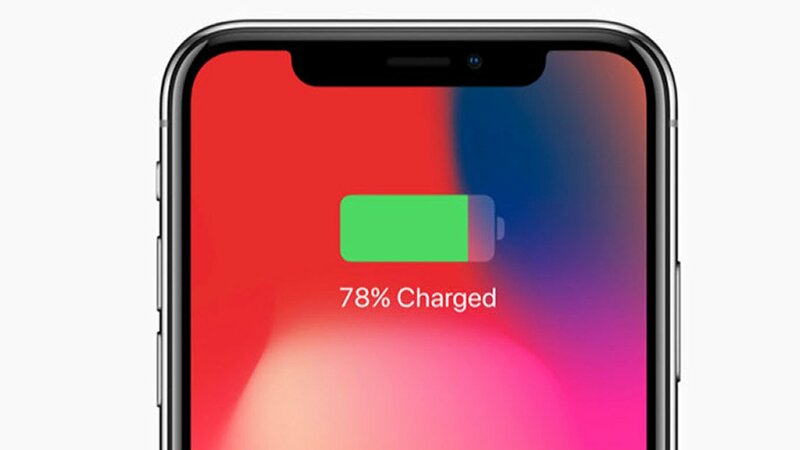 iPhone X models additionally display the remaining battery percentage while charging. If you swipe down from the top right of the screen you will bring up the Control Center. At the top right of the Control Center you will see another visual representation of your iPhone X battery, but this one will have the percentage of the charge that remains listed for you as well. While this method of getting the details of your iPhone X battery percentage isn’t likely to be popular among users initially, it’s seems to be the preferred method in the latest versions of iOS. For now, it seems like there is no way to go back to the old method of displaying the battery percentage as with other Apple devices. With that said, there is a simple way to display the remaining battery percentage straight from the device's lock screen. From the home screen, swipe to the right and tap on the Edit button to add a new lock screen widget. From the Add Widgets screen, tap on More Widgets, then tap the plus icon next to Batteries. Once done, you'll be able to see the current battery percentage by swiping right from the home screen or the lock screen. As a bonus, this widget can also display the battery percentage remaining for peripheral devices like the Apple Watch, AirPods, or the AirPod case. Other changes that Apple has made beyond removing the battery percentage with the iPhone X include changes to how to take a screenshot, and how to close apps on your phone. We’re still working our way through all the changes and features ourselves, and will provide more guides like this one as we discover other tips about the iPhone X.